Plans to develop a £62 million global centre for barley research in Scotland, which could have significant benefits for the Scotch whisky industry, have been given the go-ahead. The International Barley Hub (IBH) and the Advanced Plant Growth Centre (APGC) will be developed within the James Hutton Institute’s (JHI) Invergowrie site near Dundee. The two centres, which are due to open in 2022, will enable scientists to develop new barley varieties and work on areas such as flavour, yield, and sustainability. A new, 4,800m2, building will accommodate 100 people and house 44 lab spaces, 60 desk spaces, as well as space for freezer and growth room facilities. The creation of the two research centres will result in Scotland becoming a centre for the global development of barley research, indoor and vertical farming, the development of new crop varieties, and improvements in the quality and taste of existing crop species, as well as securing food supply chains against climate change and lowering environmental impact. Both projects are beneficiaries of an overall £700 million investment into the Tay Cities Deal Project, a partnership between Angus, Dundee, Fife, Kinross, and Perth local authorities, and the UK and Scottish Governments. JHI is the UK’s only centre of expertise for barley, the UK's second largest crop, which is grown on about half of Scotland's arable land. ‘Few people outside the farming industry appreciate barley’s connection with economic wellbeing but also its significance as a global and nutritious food crop,’ said Professor Colin Campbell, chief executive at JHI. The Scotch Whisky Research Institute (SWRI) joined with JHI and other scientific groups in lobbying for the creation of the IBH, which will act as a global centre and platform for the training and development of skills in barley research, benefitting the entire whisky, brewing and food chain. 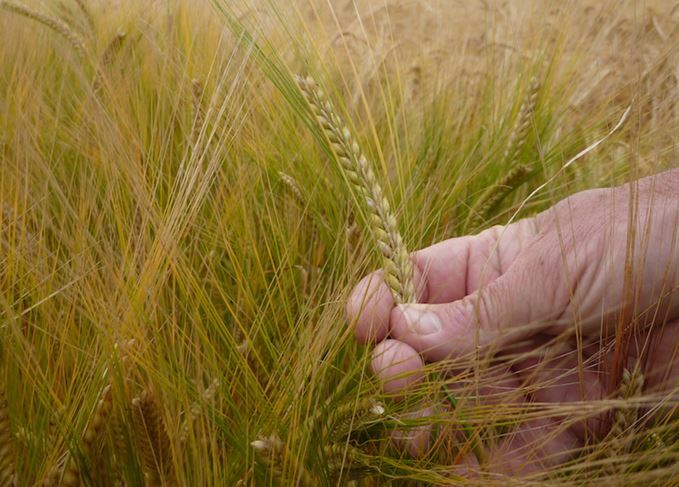 One project, outlined by Dr. James Brosnan, director of research at SWRI, to Scotchwhisky.com earlier this year, was to broaden the genetic diversity of barley. ‘We grow spring barley drawn from a narrow genetic pool, all of which is harvested at the same time,’ he said. ‘That’s a lot of eggs in one basket. Looking at genetic diversity doesn’t mean going down the GMO path, but looking at genetic diagnostic techniques, similar to DNA fingerprinting. Other areas of research will include looking at breeding for sustainability, malting quality and flavour. The APCG is a new research facility at the forefront of emerging technology and is designed to deliver increased commercial, economic and environmental benefits to the global food and drink sector. The distillery is funding an effort to revive Dornoch’s extinct Native European oyster population.